[http://] Welcome to Ylemparto. Manufacturer & Exporter of Chemical Plants / Equipments We are an ISO 9001:2000 certified company, established in the year 2005. OurRigorous quality inspection make us different from others. Customized solution & large production capacity are the factors that help us to stayahead of our competitors. We offer a vast range of Industrial Vessels, Distillation & Material Handling ConveyorSystems. Our Evaporator & Crystallisation Systems are in huge demand across the globalmarkets. 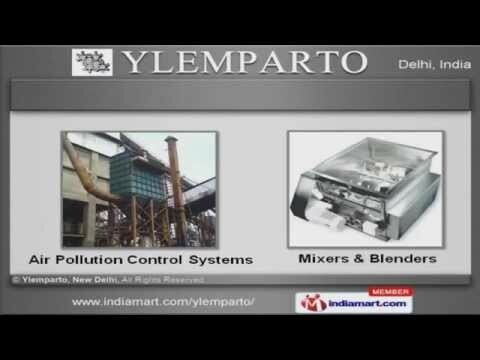 Along with that we offer Air Pollution Control Systems, Mixers & Blenders that are bestin the industry amongst others. We provide Consultancy For Projects & Heating Systems that are available at industryleading prices. Bending Machines & Heating Furnaces offered by us are widely appreciated in themarket. Our Electrical Consultants & Electrical Panels are superior in performance.